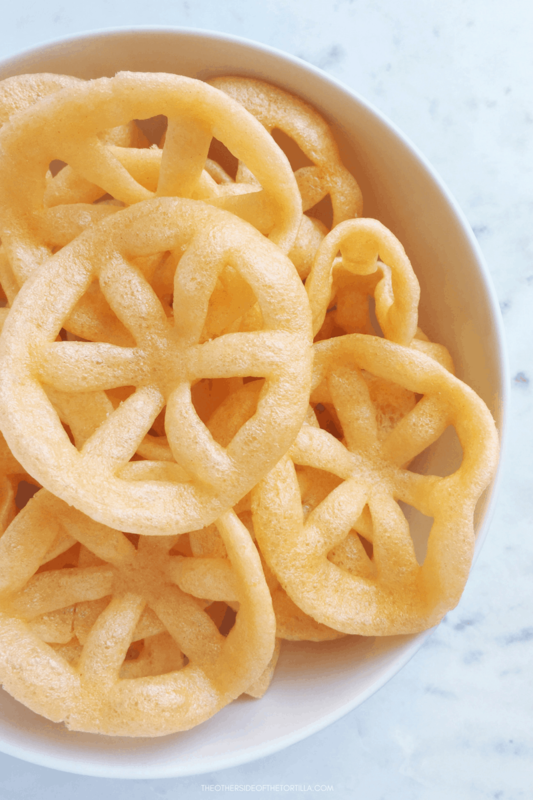 I get a lot of questions from my non-Mexican friends and readers about this snack because they’ve never seen it before, or didn’t know how to prepare it properly. It’s actually really simple, and these things are super addictive. 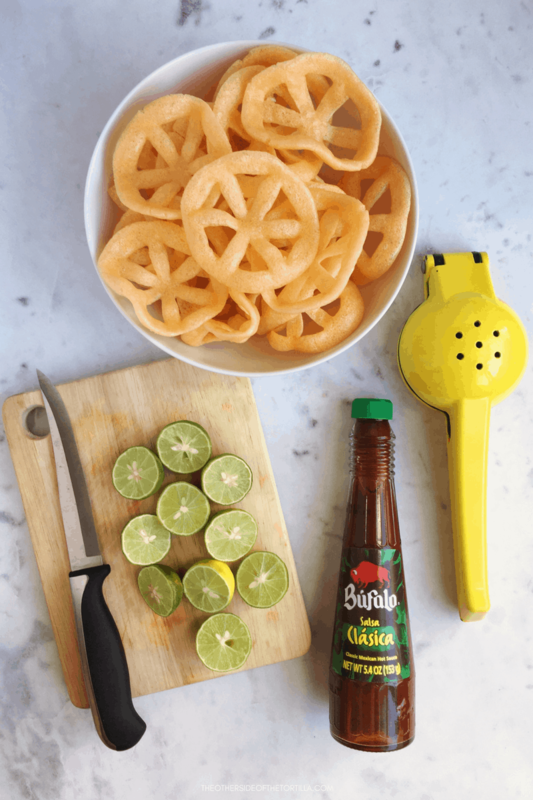 Some people like to sprinkle Tajín or chile powder over their chicharrones de harina instead of a liquid salsa, which is perfectly fine. Our family has always used salsa Búfalo clasica or Valentina, so that’s how I’ve prepared them here. No judgment if you prefer them with chile powder. A note about the lime juice: This snack really does taste better with key limes if you have access to them because that’s what’s used in Mexico. However, if you can’t get key limes at your grocery store or local Mexican market, a regular lime (also called a Persian lime, is seedless and has a thicker rind) is OK to substitute. NEVER use bottled lime juice, please; only the fresh-squeezed stuff. The Mexican lime (known in the U.S. as key lime or West Indian lime) has thinner skin, is very small (about 1 inch in diameter), has small seeds, and has a brighter, more concentrated citrus flavor. The skin of this kind of lime is generally green, but as they mature, the skin turns yellow. 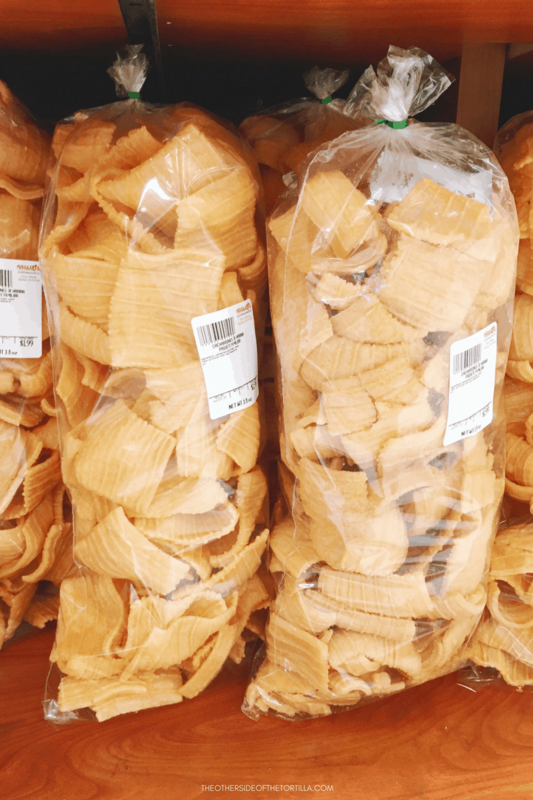 How to prepare store-bought chicharrones de harina, a quintessential Mexican street food snack. Put your chicharrones de harina in a bowl and set aside. 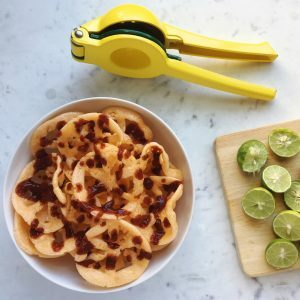 Cut key limes in half and squeeze juice directly over chicharrones. Reserve 1-2 key lime halves. 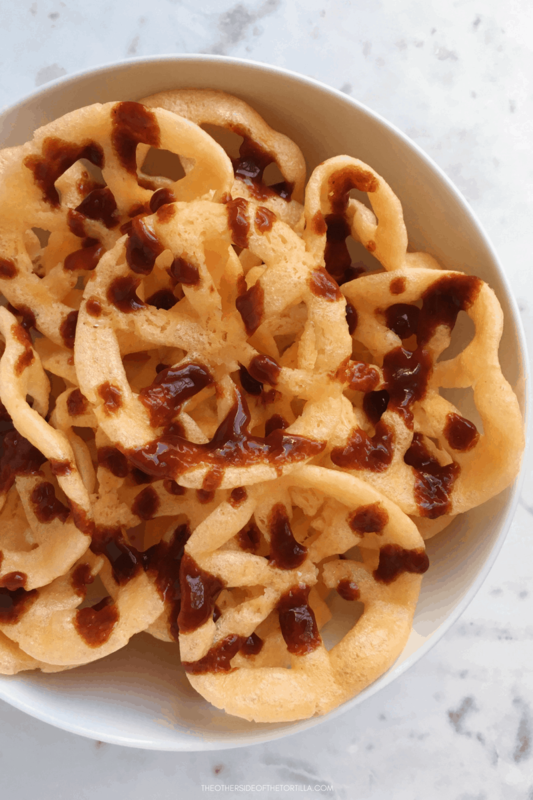 Drizzle salsa over the chicharrones to your liking and serve immediately. 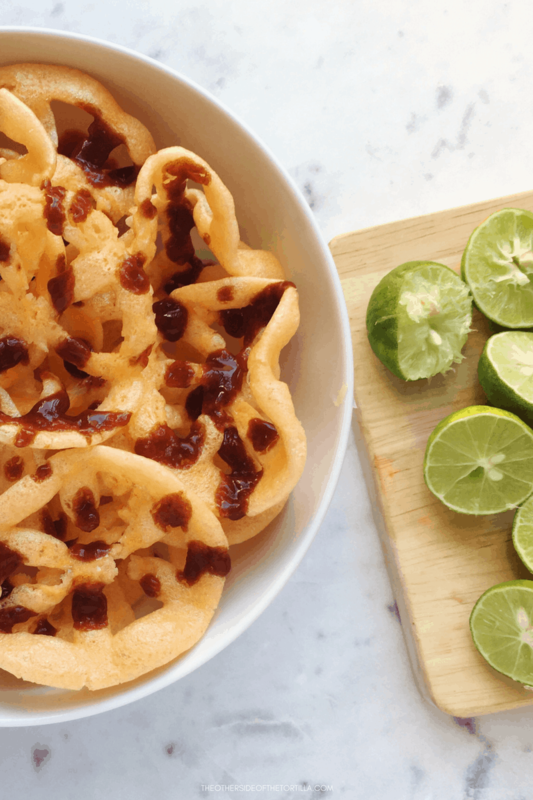 Use reserved key limes to squeeze over chicharrones closer to the bottom of the bowl and add more salsa.